Developments in Artificial Intelligence (AI) and robotics is at the forefront of technology news, whether it be improving manufacturing and retail processes, self-driving vehicles or exploring planets beyond earth. In light of this, it isn’t surprising that the UK government is providing £17.3 million of funding towards research into AI and robotics as part of its digital strategy. 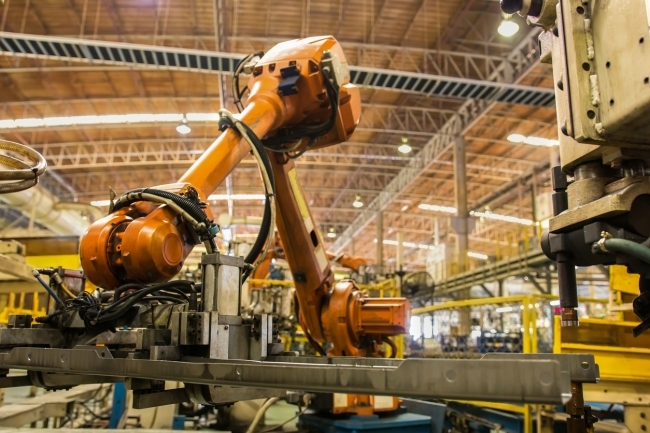 The UK currently ranks above the global average in robotics adoption, with around 71 robots per 10,000 employees within the manufacturing sector. As the ninth largest manufacturing country in the world, meeting this increasing demand is changing the engineering market to fit requirements. There is also new focus on the growing specialisms in the design, development and manufacturing of robotics and their components. This spans not just the manufacturing sector, but also those creating robotics for high hazard locations. Rich Walker, Managing Director at the Shadow Robot Company, specialises in grasping and manipulation developments for robotic hands. With government investment and the support of newly established robotics hubs across the UK, we are set to see increasing development towards an automated future across engineering spheres. Ensuring the safety, efficacy and reliability of new technology whilst driving cutting-edge research will undoubtedly remain at the forefront of engineering news, and the Institution can’t wait to see what innovations will change the robotics landscape next. Simon Jarvis will be speaking at the Robotics and Automation in Manufacturing seminar alongside speakers from Ocado Engineering, Airbus, The Manufacturing Technology Centre, OAL, BARA, Siemens and others. Rich Walker will be speaking at the Robotics for Hazardous Environments seminar alongside speakers from Rolls-Royce, National Nuclear Laboratory, Airbus Defence and Space and Wood Group.